Rebellious by nature and distinctively intuitive, the Hatchback is sporting cutting-edge styling and utility. Sure to turn heads, the Hatchback features detailing, eye-catching honeycomb panels and textured aluminum pedals (standard on Sport and Sport Touring). With a 1.5 liter, turbocharged engine, the Hatchback is made for those who love the road. 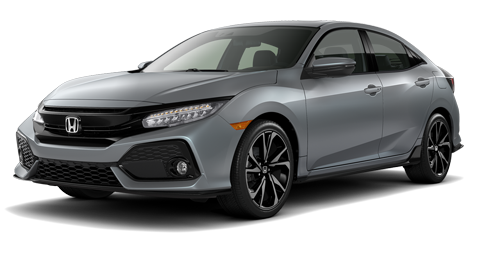 Combining an enhanced level of versatility and comfort, the design of the Hatchback is available with premium features and innovative technology, like a 7-inch Display Audio touch-screen (EX and above). The Honda Hatchback, pushing beyond the limit of expectations. The Honda Satellite-Linked Navigation System™ is available on EX-L Navi models and standard on Touring models in the United States, Canada and Puerto Rico. (Honda HD Digital Traffic service only available in the United States, except Alaska). Please see your Honda dealer for details.